I am leaving on December 31 to lead a tour in Israel and Jordan. 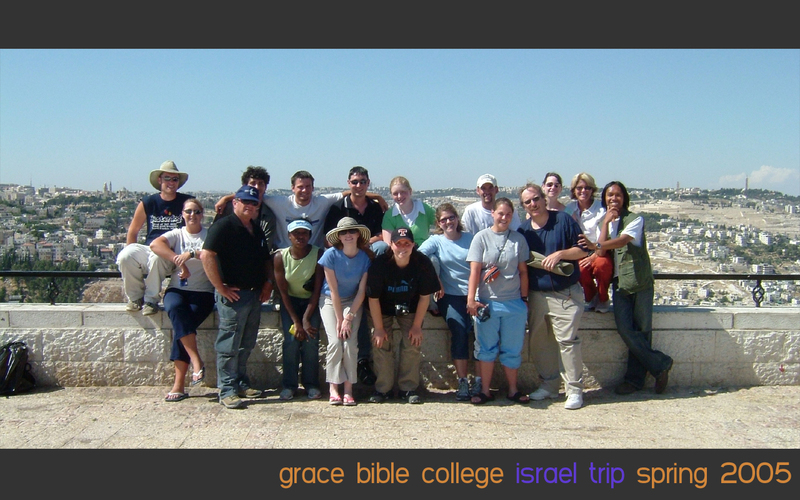 This is my fifth trip to Israel since 2005 and I am looking forward to this one a great deal. This trip is a bit different since most of the group are adults as opposed to college students. (I suppose that means less uphill walking and more frequent bathroom breaks!) After visiting in May, I am also looking forward to cooler temperatures in the desert. 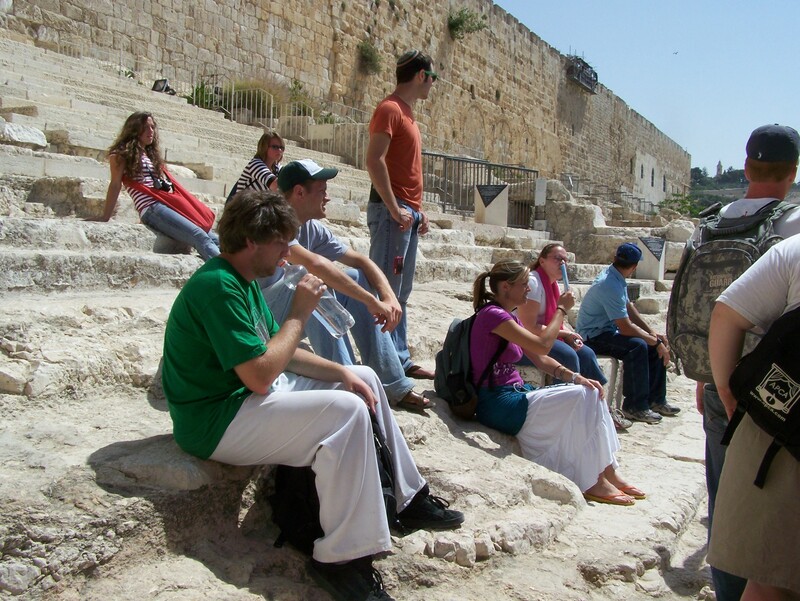 I hope to visit Southern Temple and City of David excavations since they have been “in the news” quite a bit lately. One of the highlights of my tours is spending a few days at Tamar, an archaeological part south of the Dead Sea. The site is small but unique, with remains from the Iron Age (include a small Solomonic Gate and a four-room house), an Edomite shrine, a Roman bath and store rooms, a Turkish water system, a building once used as a jail during the British mandate, and an Israeli bomb shelter. According to this article, Lake Superior State University has developed a list of “banished” words and phrases. The list includes popular phrases like baby bump, occupy, man cave, ginormous. One particularly least-favorite of mine on this list is “amazing.” Once reserved for things like Grace, this word appears to now mean “something that was vaguely interesting” or “better than being unconscious.” Aside from the fact this is an obvious way for an obscure northern Michigan university to generate some publicity, the list contains a number of words I would like to never hear (or use) again. A ginormous number of words, really. I think that there are quite a few words or phrases which ought to be banned from biblical studies as well. Maybe I am just stinging from reading way too many papers the last two weeks of this semester, but the phrase “scholars have debated [fill in your topic] for many centuries” from all student papers. I had one student tell me that the topic had been debated for many millennia, which I thought odd considering Christianity is barely two millennia old. I saw words like “frigging” or “freaking” far too often considering these were papers on biblical topics! Another word which has perhaps lost too much value is “intertextual.” Bear in mind that I use the word 400 times in my dissertation. What was once a trendy post-modern / reader-response literary theory was co-opted by evangelicals to mean “a quote” or an “allusion.” For example, “Paul’s intertextual allusion to Deuteronomy” is a repetitive redundancy for evangelical scholars, who are probably unaware of what “intertextual” meant in the first place. I am tempted to throw “New Perspective” into this category, since it is not all that new any more, and I am really not attracted to a book which claims to me a new-new perspective. There are other phrases which have lost meaning (if there ever had any meaning). What does “emergent” mean? That one has been stretched to mean everything from evangelism in a coffee shop to “raging-liberal hell-denying Mac-User with spiky hair and trending glasses. Would that I have the power to enforce my will on the masses…. What other words and phrase ought to be banished from biblical studies in 2012? Back in October I posted a short note on the money changers in the Temple. Money needed to be changed to an acceptable currency before it could be given to the Temple. Popular preaching usually states with confidence this is because Roman coins were blasphemous, so they were exchanged for Tyrian shekels. The usual explanation for Jesus’ anger with the money changers is that they were gouging the “tourists” with an exorbitant exchange rate. This overlooks the fact that the Tyrian shekel had an image of Melkart / Heracles as well as an eagle. The reason the Tyrian shekel was required was that it was the most pure silver coin available. Nevertheless, some sort of coin exchange was required before a worshiper entered the Temple. 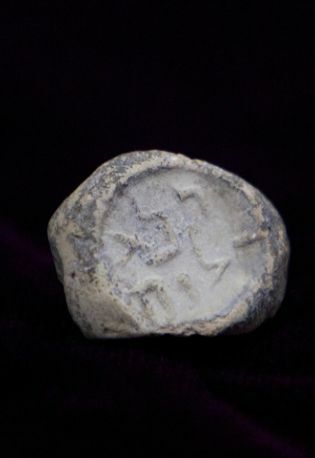 An odd seal or “token” was recently discovered in Jerusalem with the words “pure to Yahweh.” Ronny Reich described as a seal placed on an object which was dedicated to the Lord. This would explain why it is a bullae, a clay seal impression. On the other hand, George Athas suggests on his blog that this seal is a kind of exchange token for use in the Temple. This would ensure than the worshiper had an accurate exchange rate with the proper coinage and that the coinage was “acceptable” for use in the Temple. I like Athas’ suggestion, but I am not sure a clay seal could be used for a handful of coins which would be immediately taken into the Temple and “spent” as a tithe or offering almost immediately. A more durable chit would be more likely in that case. The seal strikes me as not unlike the common l’melek seal. This impression is found on jar-handles indicating that the contents of the jar are reserved for the king, perhaps as a tithe / tax. Perhaps this seal was placed on an item being given to the Temple as an offering. People may have given all sorts of things to the Lord through the Temple aside from money (food, wine, etc. ), these items could be marked as set-aside to the Lord with this sort of seal. 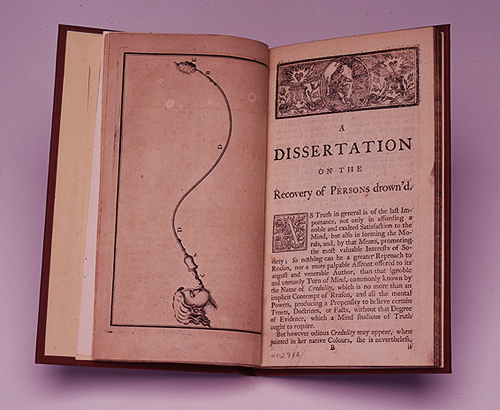 I get questions all the time about the state of my PhD dissertation. For the last year it has been more or less done, although like the coming kingdom, it is “already finished” but “not yet done.” But this morning I handed in the “final” copy of my dissertation today to the PhD secretary. While she savages my work with a red pen, the search for an outside reader continues. I do not yet have a defense date, but it is looking more like early spring and a May graduation. I am also frequently asked what my dissertation is on. After all this time writing it, I am not even sure, so I randomly drew biblical studies buzz-words words out of a hat and entitled it “The Origin of the Eschatological Feast as a Wedding Banquet in the Synoptic Gospels: An Intertextual Study.” I suppose I might have to change it if it turns out Eugene Peterson already used that title, but that is the title for now. I am quite happy that the glacier-like process has finally begun to move. I have a number of projects I want to work on which have been on the back-burner waiting to finish my up my degree. Looks like I will be able to devote more time to a few of these writing projects soon. Of course, the first step after graduation will be getting my dissertation published. By now everyone has heard of the Amazon “price check” offer. Basically, Amazon wants you to window shop at a real bookstore and check the book on their Amazon app. If you did this, Amazon would give you a 10% discount if you ordered the book, up to $15. Obviously this was extremely controversial. 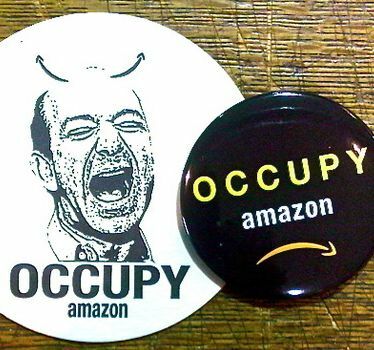 There were calls to boycott Amazon, with not a few “occupy Amazon” type protests breaking out. I am not exactly sure how you picket Amazon’s store, but the anger was real. The truth is that we do this sort of thing all the time. There are many times I stop by my local bookstore and notice some new novel on the “just released” shelf at retail price. I then go online and buy it on Amazon for 40% off. Maybe Barnes and Noble is close in price to Amazon, but the local bookseller cannot compete on the “big sellers” like Stephen King or the latest Harry Potter wannabe. But for most of the things I read, my local booksellers are pretty competitive with Amazon. There is one thing that Amazon does that my local seller cannot. I have bought enough from Amazon over the last ten years that the AI hive-mind behind Amazon does a pretty good job at guessing what I might like. In addition, I can look through reviews of books and compare editions much easier on Amazon than the local seller. Even the “other people who bought this also purchased” suggests are amazingly good. There have been a few times the user-created lists have introduced me to some book or author I did not know about. 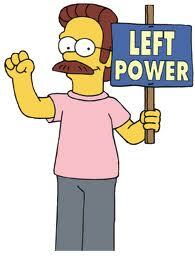 Join me in my version of the Occupy Amazon movement and buy your books locally. In a recent Religion News Service article, David Gibson reports that the great bastion of fundamentalism Bob Jones University has started to avoid the description “fundamentalist.” The article describes a “sea change” at the university as it consciously tries to shed the negative connotations which are associated with the term in the twenty-first century. It is not as though the school is going to reject inerrancy or the virgin birth. Nor is the University going to start promoting ecumenical unity or adding Chris Tomlin to their chapel schedule. They are still über-conservative, although there is at least wi-fi on campus now. Fundamentalists are the bomb-wielding Muslims, not good Christians from the south. This is a remarkable development and brings two things to my mind. I was raised in a conservative Bible Church and went to a conservative Bible College. I was taught that there were some key fundamentals of the faith which could not be compromised, and that there was nothing wrong with the term fundamentalist. I heard quite a few pastors firmly declare their loyalty to being a fundamentalist (usually accompanied by a pulpit smack or a Bible-waggle). But some time when I was in college I began to realize that there was something wrong with calling myself a fundamentalist. The doctrine was fine, but the cultural image of the crazy fundamentalist Christian was too much baggage to carry. Like most people my age who were more-or-less conservative and sensible, I started calling myself an “evangelical.” Bob Jones has simply caught up to the late 1970’s and shed a title which has confused people for 50 years. But here is my second thought about this shift of thinking in Greenville, South Carolina. If Bob Jones has given up the title fundamentalist in favor of “evangelical,” then it is high time I moved on as well. I actually started thinking about this over the summer when the media persistently called Harold Camping an “evangelical.” If Camping is an evangelical, I need to find a new word to describe myself, since my way of thinking about the Bible and biblical faith are in no way related to his wild-eyed prophetic utterances. So if Bob Jones is the new evangelical, then what is the old “evangelical”? Is it time to dispense with the term as an overused and meaningless distinction? Is the media-sullied term “evangelical” helpful anymore? The folks at Zondervan shared a link to a new free iPhone app in support of Jonathan Morrow’s recently published Think Christianly. Morrow is has an M.Div and MA from Talbot, School of Theology and seems to have fully embraced social media as a part of ministry. The Think Christianly website has a real “emergent” feel, the material found on the site is solidly evangelical. The App is an interesting way to access the website. It is not as trendy as the new Relevant App, but in all fairness the Think Christianly app is designed for the iPhone, not the iPad so many of the “bells and whistles” are just not available. The App is a good way to access the blog, Twitter Feed, and Podcasts. All of the Podcasts are from Morrow and covers a number of relevant apologetic topics (Is Hell for Real? Spiritual but Not Religious? Is Religion Dangerous?) The App also offers access to a number of short videos on similar topics. I watched the video on the problem of evil. At just under 7 minutes, Morrow explains the basics elements of the issue and gives (what I think) is a fairly standard (and correct) answer. The apologetics found at Think Christianly might not appeal to everyone, but Morrow is doing some good work. If anything, the site and app are traditional in their approach to apologetic issues. Maybe that is the problem, if the goal is to reach people with solid answers in the (post) modern world. I suspect that the people who will find the most use of this app are Christians struggling to keep their faith rather than outsiders and seekers looking for solid answers. I could be wrong about that. But this App is far from a collection of Nooma videos, it intends to challenge the user to think a bit harder about hard topics. What is more, the app / site holds to the belief that there are some answers to these questions. One downside for the app (for me) is that the app is designed for the iPhone and therefore does not take advantage of the higher video quality of the iPad. The App is built with MethodApps and the same “look and feel” as other apps built with that tool.